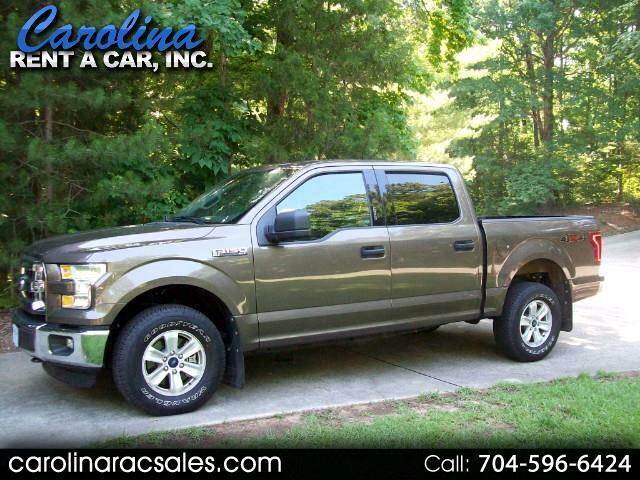 Used 2015 Ford F-150 4WD SuperCrew 145" XLT for Sale in Charlotte NC 28213 Carolina Rent A Car, Inc.
Extremley nice truck located in Charlotte, NC. This is currently been driven by our Fleet Manager and has great mileage. This truck has power windows, locks, cruise, tilt, am/fm/satellite cd, hands free phone, microsoft sync, bluetooth, 4x4, and much more. If you want a truck close to new and don't want to pay over $40,000.00 for it this truck is for you. Full Factory Warranty still applies. Call John at 704-596-6424 to schedule a time to see this truck. Remainder of Ford Factory Warranty applies!